When I heard about Imperial Candles I needed to try one! Imperial Candles are scented candles which contain jewellery! You burn down the candle to find a little jewellery package embedded in the wax. 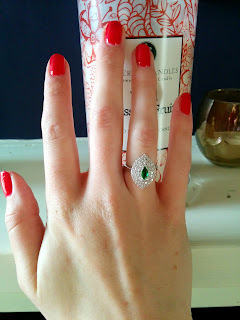 Each piece of jewellery it worth between £10 - £2,000 and you can choose between earrings, necklaces and rings. The candles are made with soy wax and have two wicks for an even burn. 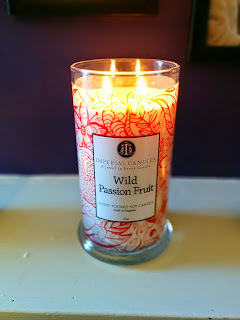 The scent is a mixture of peaches, strawberries, pineapple, orange and coconut with vanilla and smells really strong - the scent can fill a large room within about 15 minutes of burning. The candle is £28.99 but burns for 150 hours. You can see how big it is compared to the other candles. I burnt mine most days for about 3 weeks to get to the ring which was halfway down the candle. 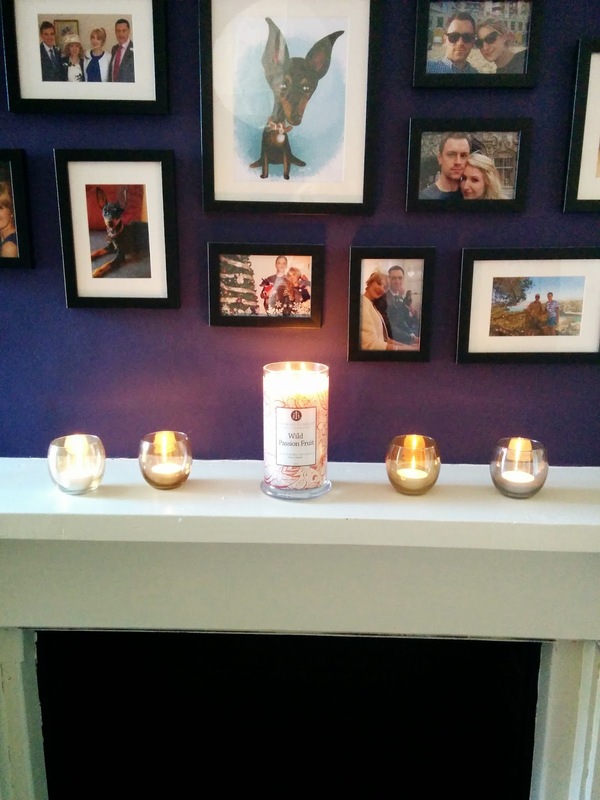 Soy wax is meant to be better than traditional wax as it burns without soot, for longer. It's also pesticide and additive free. 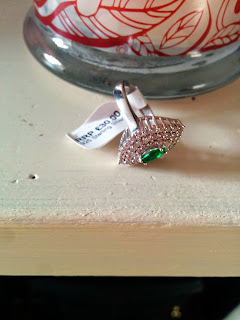 The ring I got was a Stirling Silver, Gatsby style green gem and diamond ring. 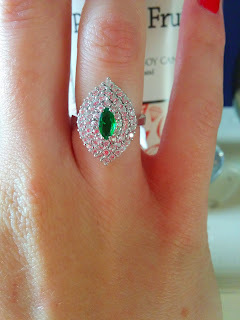 It was meant to be £30 and is so sparkly! I was absolutely thrilled with it, I love the style and it definitely made burning candles a more exciting experience. Overall, I'd totally buy another candle! I love the idea of getting a ring inside a candle, the element of surprise is very exciting! I also think although the candles are quite expensive, they're on the same level as a Yankee candle and are massive so will last a long time! I'm really pleased!